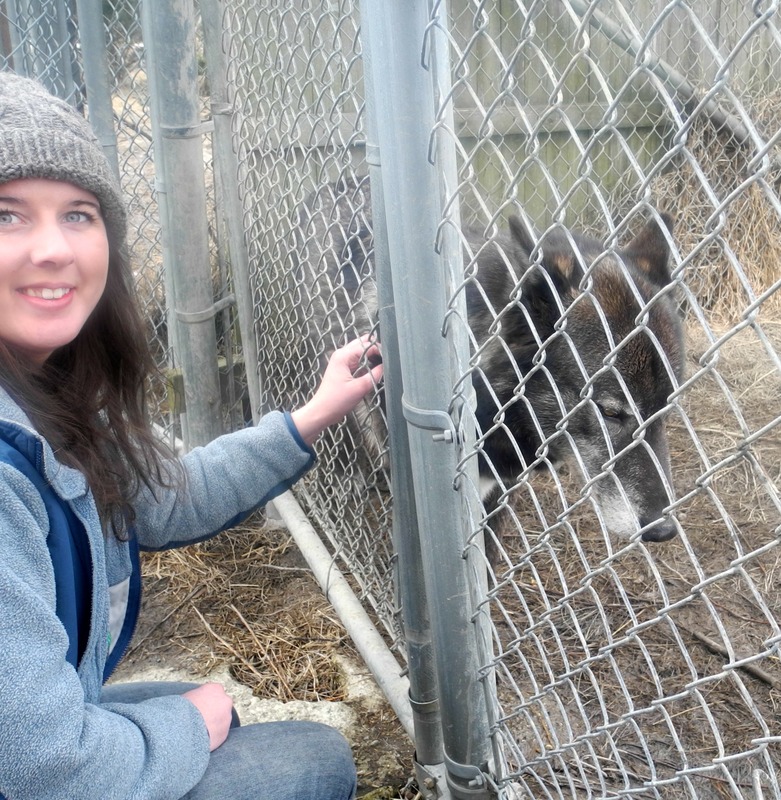 This weekend, I had the unforgettable opportunity to meet a pack of endangered Gray Wolves. 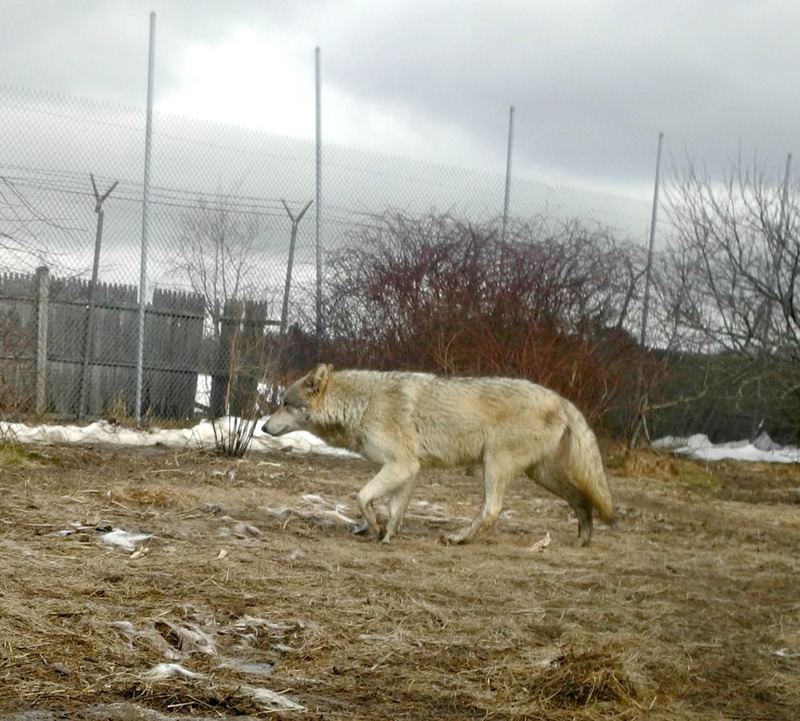 I volunteered a morning of wetland consulting at Wolf Hollow in Ipswich, and in return I got to experience an informative and up-close encounter with their wolves. Prior to European settlement, the Gray Wolf was the top predator throughout most of the United States. Their population was depleted through a combination of intentional killing and habitat loss, and a species once numbering in the millions in the U.S. was reduced to about 5,000. 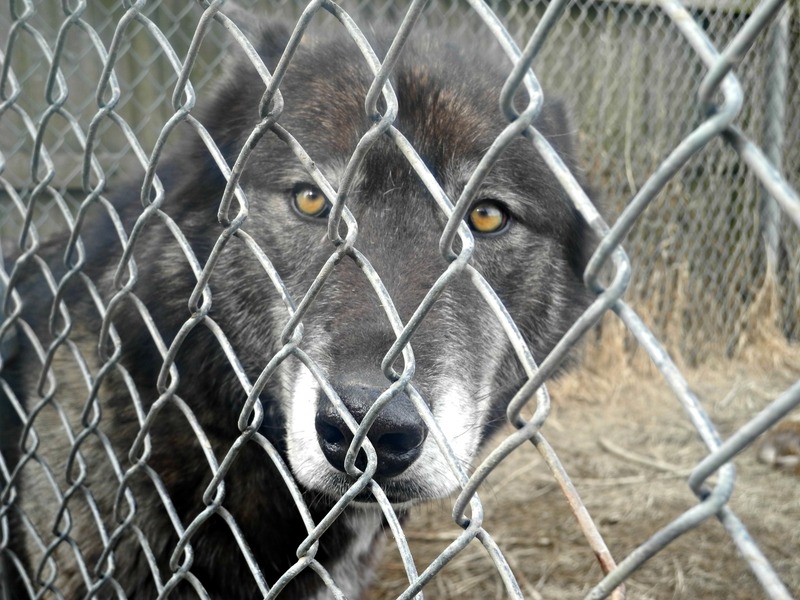 Wolf Hollow was established in 1990 with the mission of educating the public about the importance of protecting the Gray Wolf in the wild. The Sanctuary is now run by the founder’s son Zee Soffron who resides on the property, and a team of dedicated volunteers. 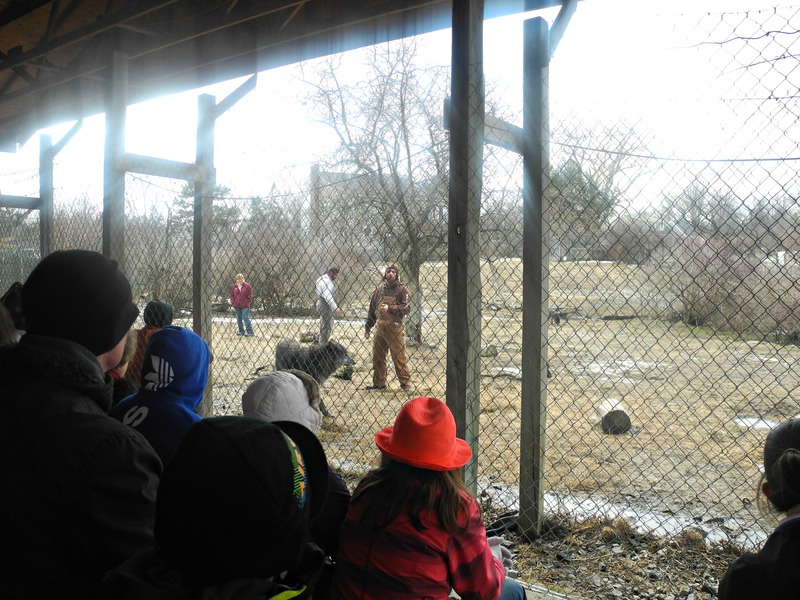 Weekly presentations offer an informative look at the often misunderstood animal, and as well as an opportunity to view their ten resident wolves at close range. 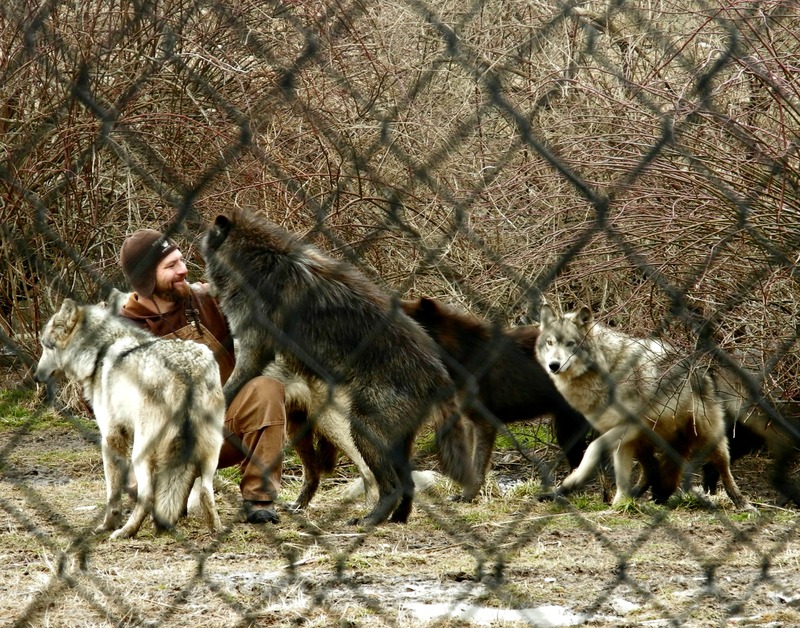 Zee Soffron, owner of Wolf Hollow, playing with the pack. The licensed non-profit organization is supported solely through admission, gift shop sales, and donations. The visitor center, located on the first floor of the Soffron’s home, provides educational resources on the ecology of the Gray Wolf. Having outgrown the space, Wolf Hollow plans to construct a small standalone visitor center. I spent the morning walking the site and preparing a sketch of the general locations of wetlands on the property, and discussing what to expect in the permitting process once they are ready to move forward. 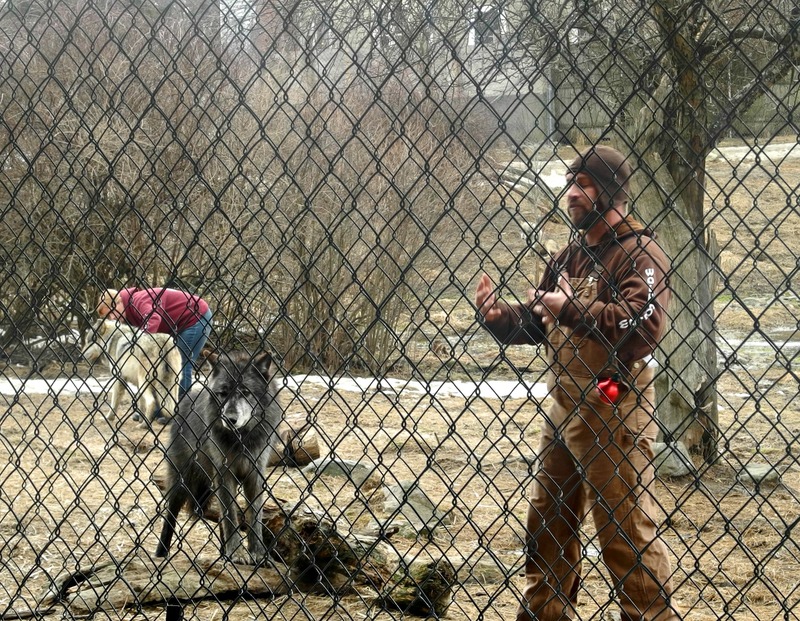 Afterwards, I was given the rare opportunity to photograph wolves up close through openings in the fence! Meet Bear, a wolf-dog hybrid. I got to give this friendly fellow a scratch. I stuck around for the afternoon presentation – and I am so glad I did. The lecture was informative for small children and adults alike. Topics included how wolf lives in a family group, its role in nature, its surprisingly close ties to man, and the ongoing fight to preserve the species in the wild. The roles of the Gray Wolf in maintaining a sustainable landscape are more far-reaching than one might realize. For example, did you know that reintroduction of wolves to Yellowstone National Park in 1995 has improved the quality of river habitat? Elk favor shady riverbanks, and when a herd lingers on one area the banks become overgrazed and erosive, damaging aquatic ecosystems. 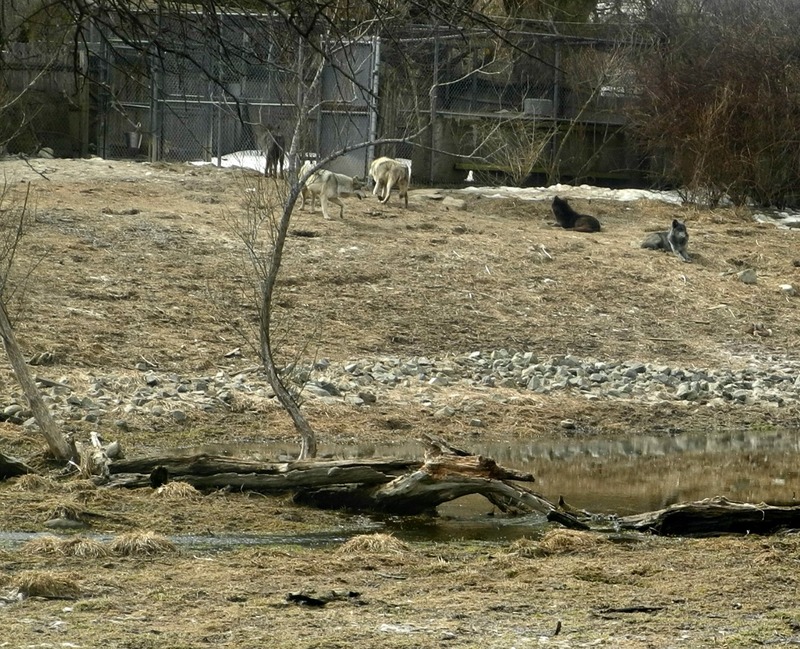 Predation from wolves has encouraged herd movement and dispersion, allowing riverbanks and other areas to recover naturally. Sometimes it is easy to forget that all domestic dogs, from Husky to Pug, can be traced back to wolves, and many wolf-like behaviors are still apparent in domestic canines. Ever wonder why your dog rolls around on the ground when he discovers an intriguing scent? 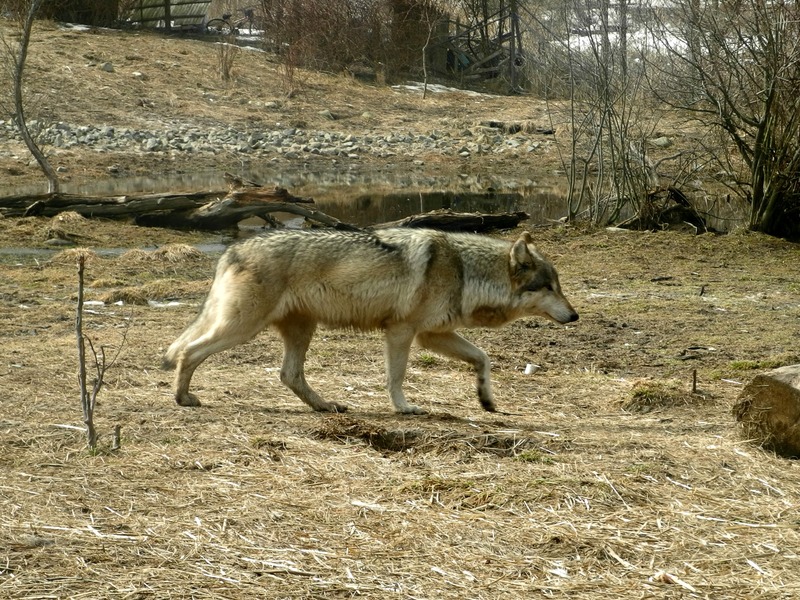 This behavior can be traced to a method of communication between members of a wolf pack. When a wolf picks up a new or unfamiliar scent, he will return it to his pack to relay a message: whether it be news of a potential rival, an unfamiliar animal, or a new source of food. 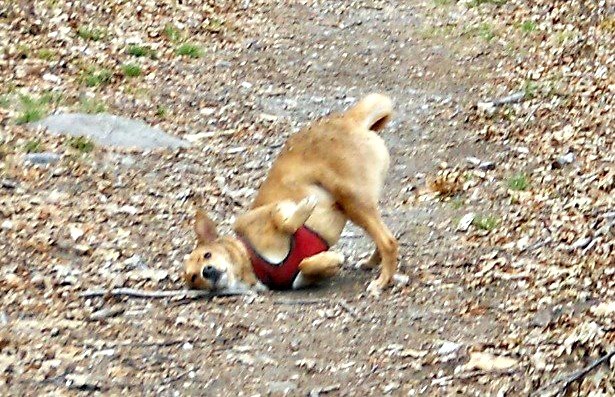 My dog Cody often does this on hikes. Who knew he was picking up a scent to bring back to his “pack”? Of particular interest were the discussions of the social dynamics within the pack. 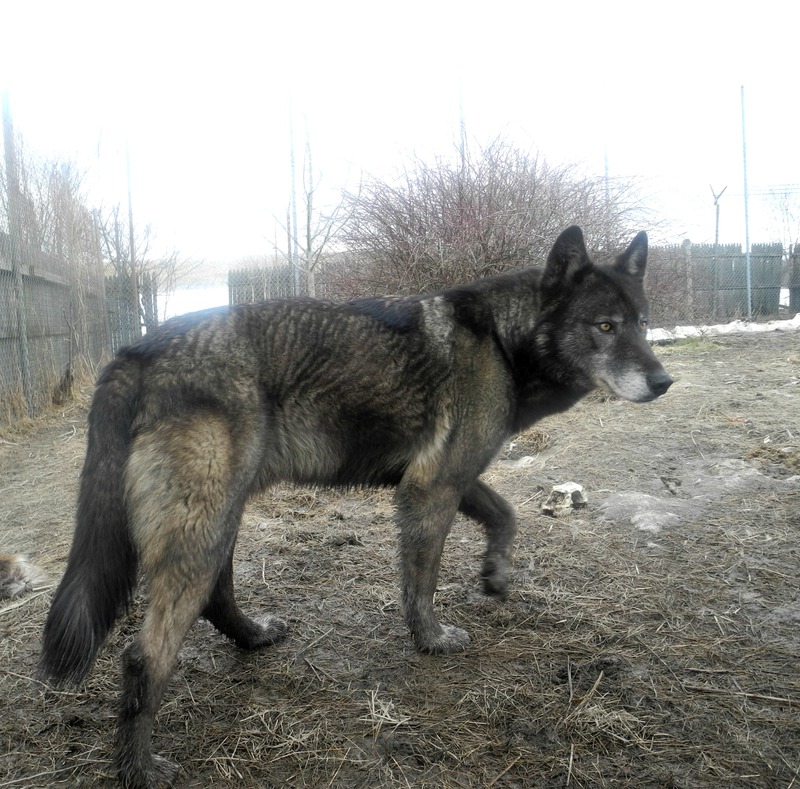 Wolf Hollow’s former Alpha Male Weeble recently passed away, and the pack is in a state of flux as males compete for dominance. Zee explained that the hierarchy is based more on confidence and behavior than size or strength. Case in point: Arrow, a smaller male, appears to be the top contender for Alpha. It will be interesting to see how these dynamics play out in the coming weeks! Arrow, a top contender for Alpha male. Photo by Michael Sterling from the Wolf Hollow Facebook Page. I highly recommend a trip to Wolf Hollow, and I look forward to seeing how plans for a Visitor Center unfold. 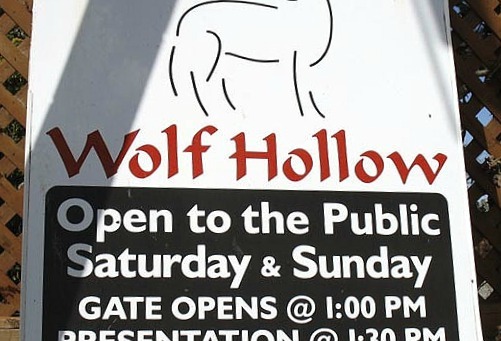 To learn more about Wolf Hollow, visit their website. Also, be sure to “Like” their Facebook Page for updates on the wolves and other goings-on. 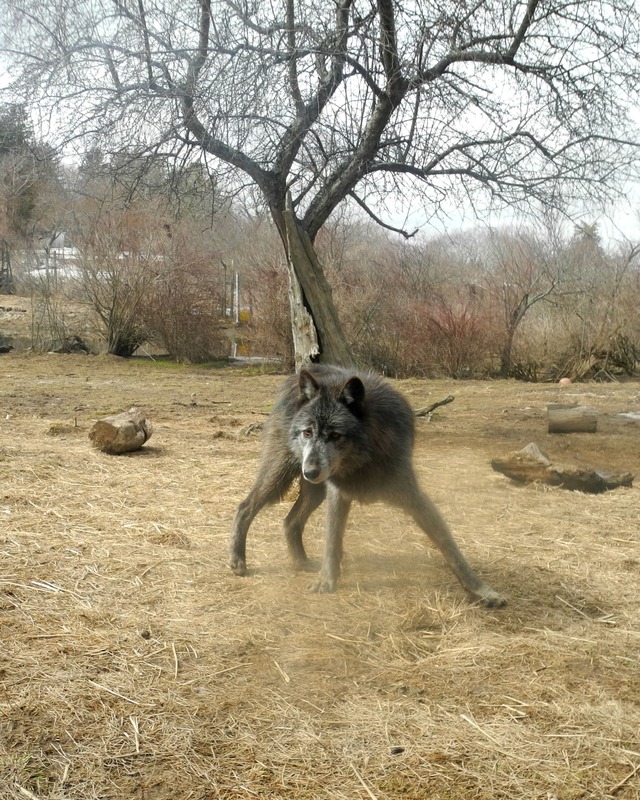 This entry was posted in GreenPARE and tagged ecosystem, environment, green, habitat, Ipswich, Massachusetts, predators, sanctuary, sustainability, wild, wildlife, wolf, wolf hollow, wolves on March 4, 2013 by laurenmh84.